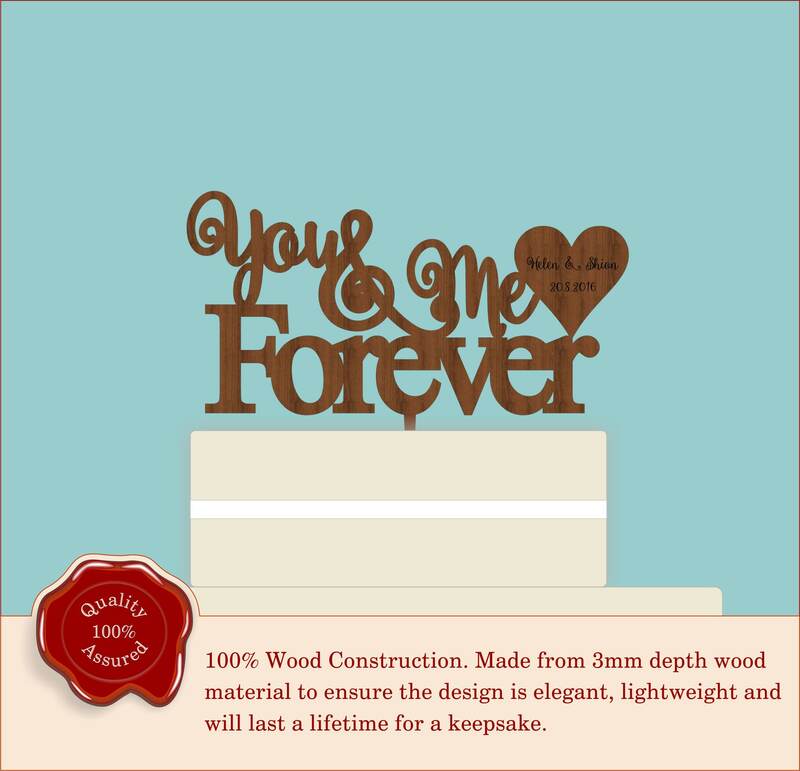 Wooden Personalised Cake Topper 'You & Me Forever'. 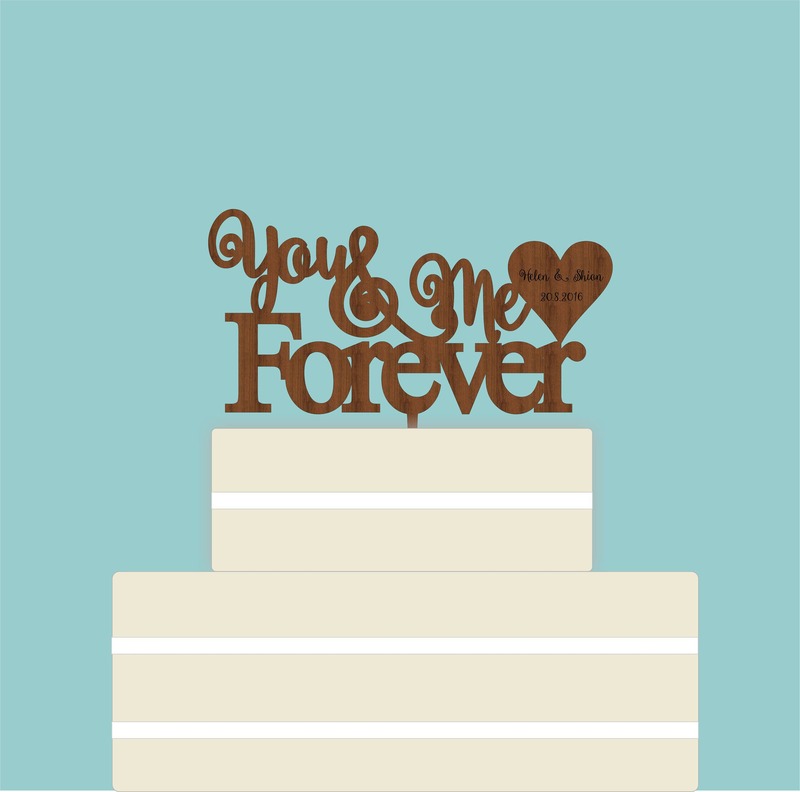 Vintage/Rustic Style for Wedding Cake Decoration. Perfect for Anniversary or Engagement.